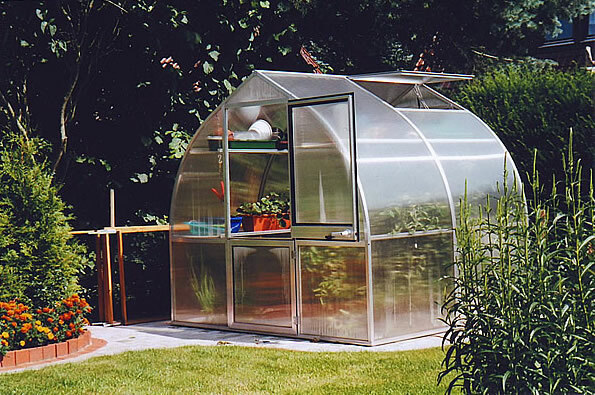 The RIGA is truly a greenhouse by the European definition of a greenhouse - designed to be used to grow fresh vegetables, herbs and flowers in the middle of winter. 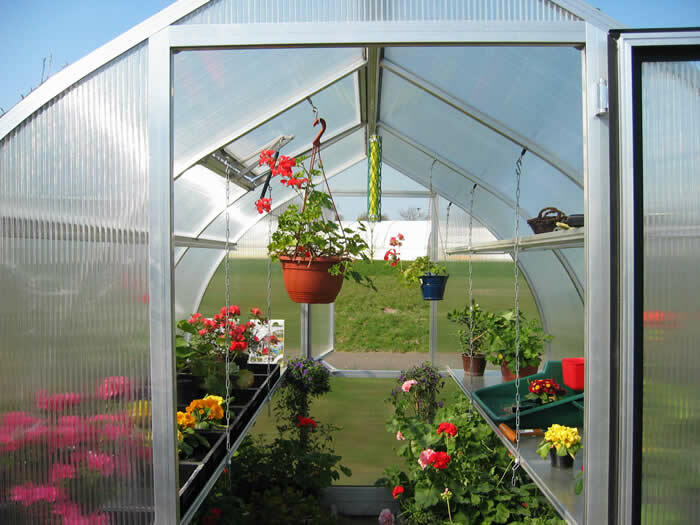 While other so called “greenhouses” using less than 8 mm twin-wall polycarbonate, are considered to be Season Extenders, to be used when only a slight night frost might be expected during the spring or fall season. 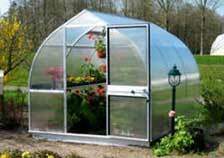 At best they can only be used to house established plants during the winter season. 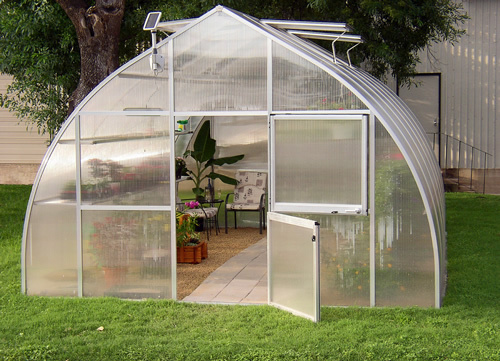 With a combination of strong materials and durable hardware, the Riga is by far the strongest greenhouse under $5,000. The Riga offers more window and door ventilation than another units it is class. 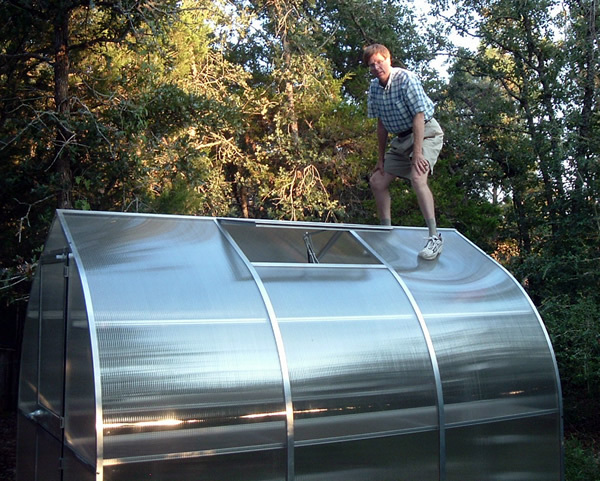 The optional 6" high base frame (which is often used to increase the height of the roof), is 2-3" higher than most competitors. 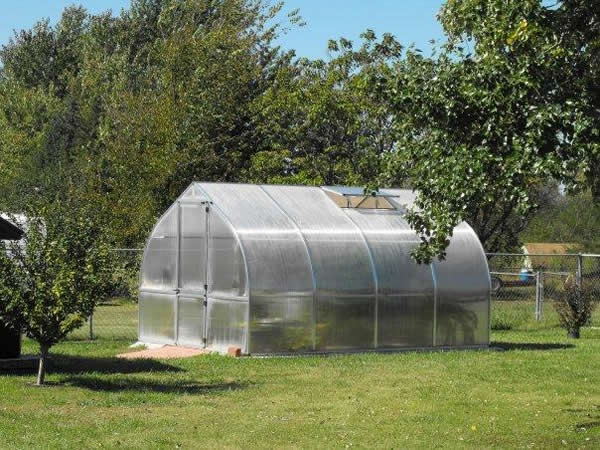 Buying a greenhouse is like buying a car, they vary in cost from cheap to very expensive, the RIGA is a class similar to a Volkswagen/Volvo – stronger, more durable and better insulated, and offers many more features than the better selling brands. 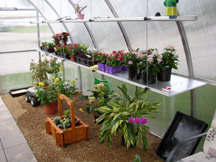 The RIGA offers the minimum insulation needed to grow plant year-round – others using less insulation cost too much to heat. We recommend you buy one size bigger than you planned. 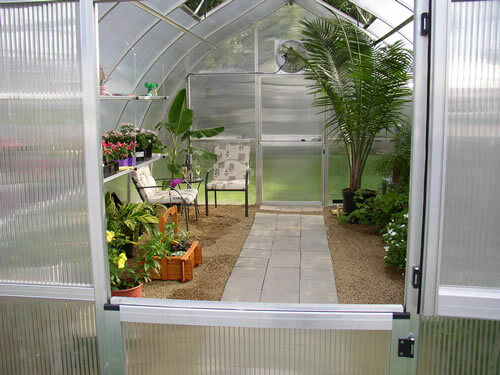 RIGA IV, the largest one (9’8” wide x 14” long; 135 square feet) is our best selling unit (80%). 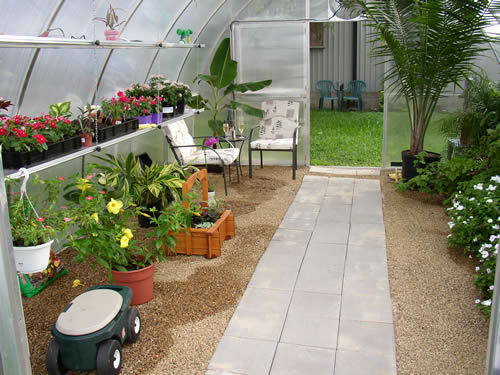 »Interior area 10’ wide x 20’ long has a minimum of 6 feet to 10 feet in ceiling height. »Assembly time: 2 to 3 people: 2 days.